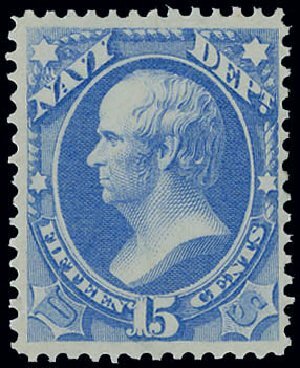 Navy Dept., 1873, 15¢ ultramarine (Scott O42), o.g., hinge remnant, bright and fresh stamp, completely sound and attractive, Fine to Very Fine, 2015 P.F. certificate. 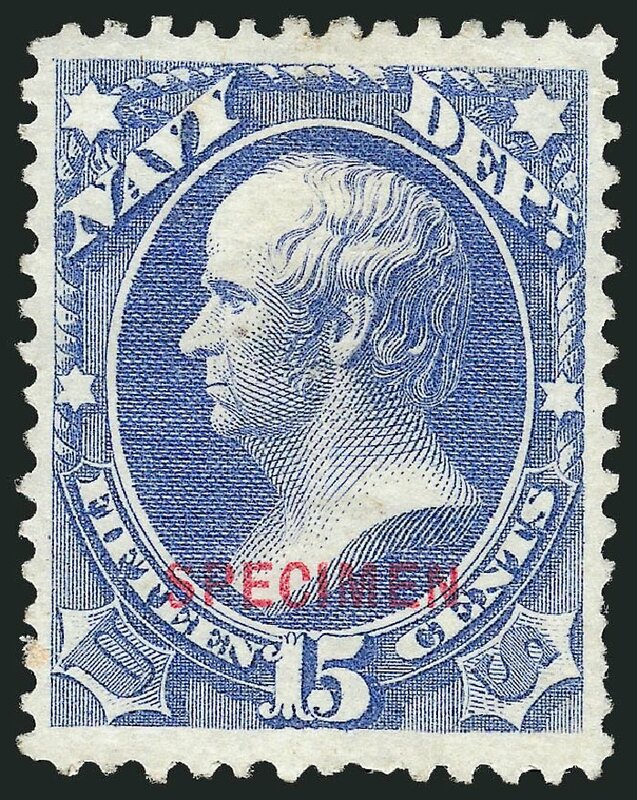 Scott $375. Estimate $250 – 350. 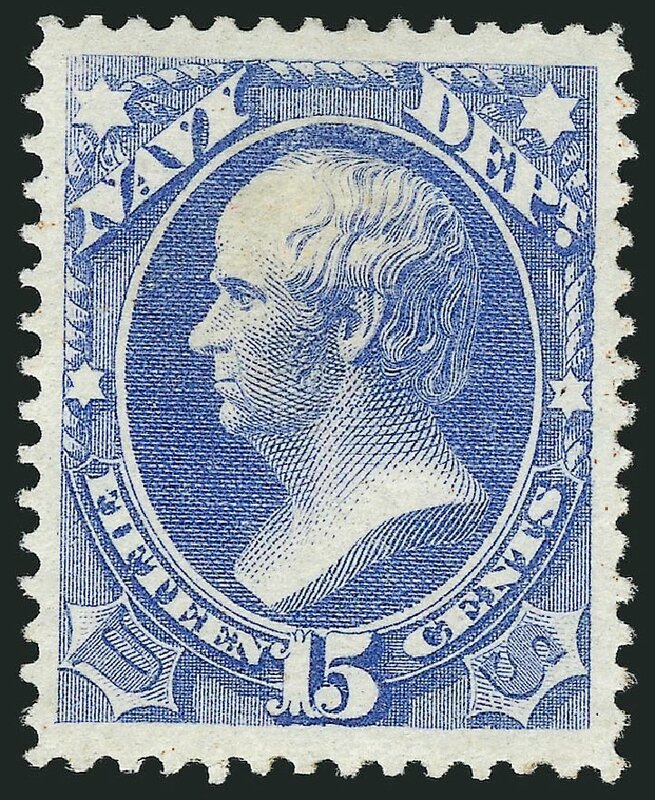 Navy Dept., 1873, 15¢ ultramarine (Scott O42), o.g., never hinged, post office fresh with luminous color, Fine to Very Fine, not priced never hinged. Scott $375 ++. Estimate price $350 – 500. 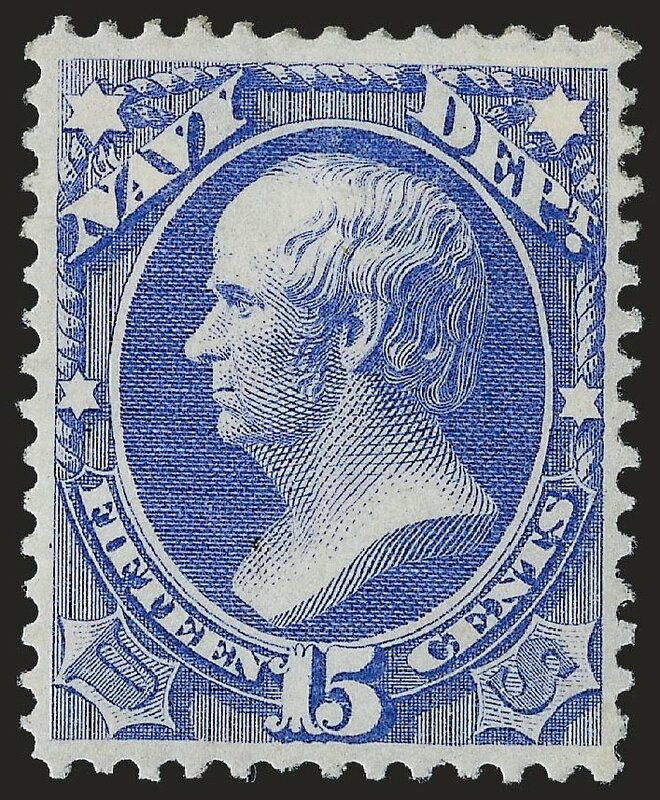 Navy Dept., 1873, 15¢ ultramarine (O42), o.g., lightly hinged, delightful example with lively bright color, Fine to Very Fine. 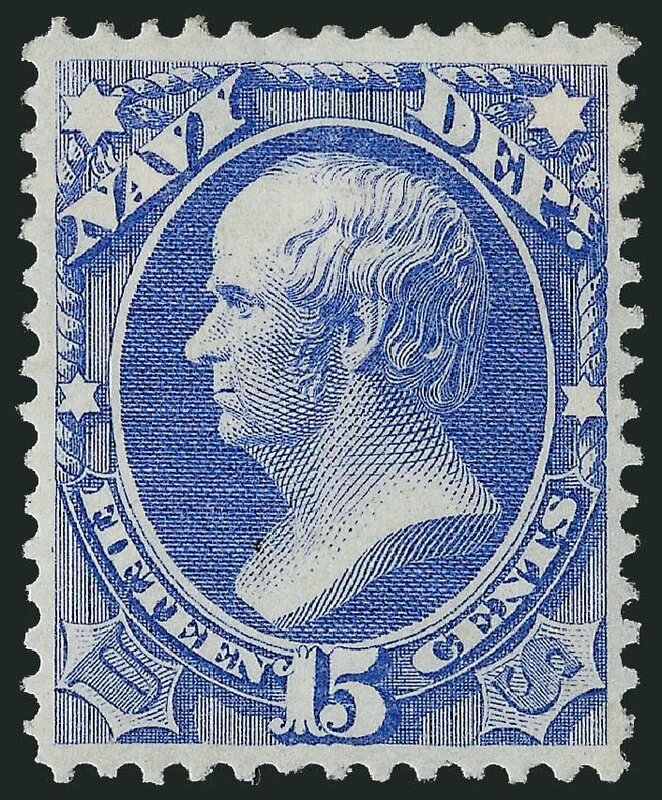 Scott $375. Estimate $200 – 300. 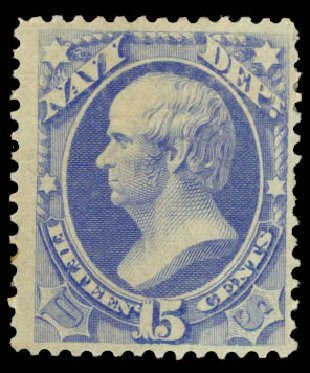 U.S.; Official, Navy Dept., 1873, 15¢ Ultramarine, Block of 4, #O42. O.g. (slight h.r. 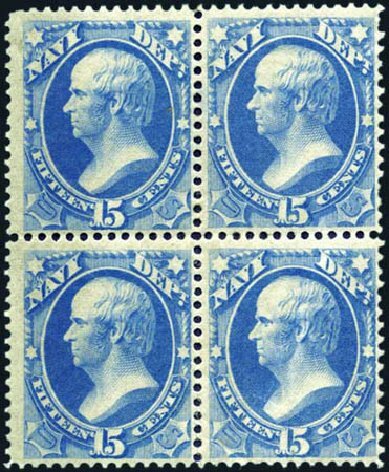 ), top left with black adhesion (not mentioned in cert. ), fresh and Fine to Very Fine, PSAG (2011) cert. 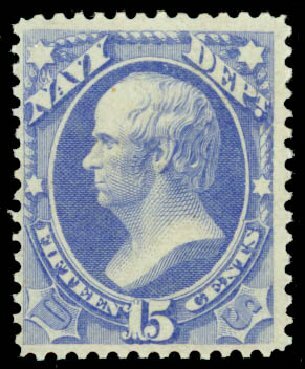 Scott $1,700. Estimate $400-500. 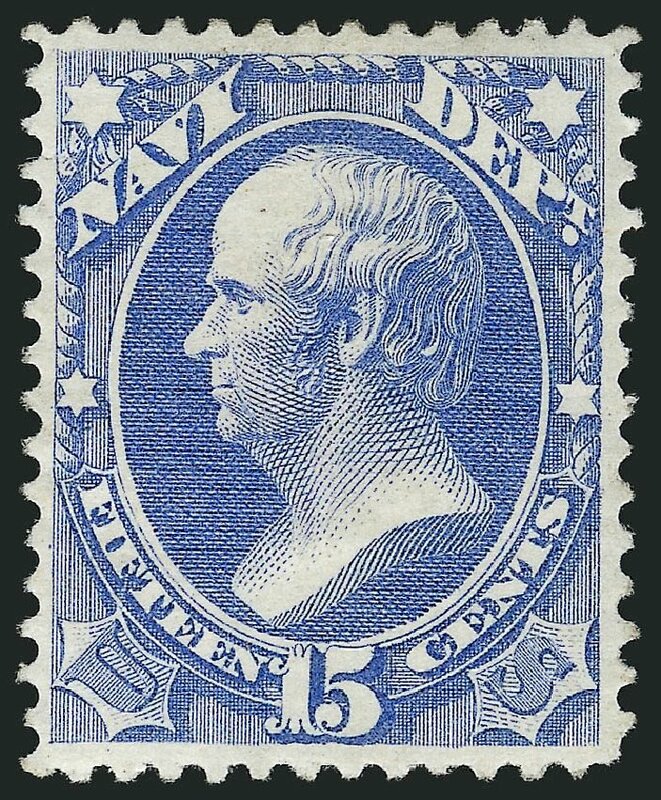 Navy Dept., 1873, 15¢ ultramarine (O42), bright, fresh and well centered. Original gum. Very Fine. 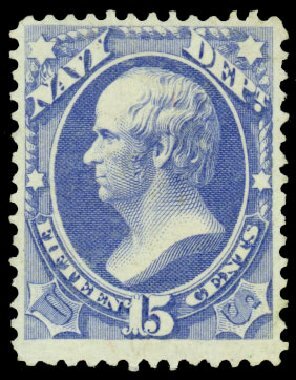 Scott value $375 Expertization: 2002 P.F. Certificate.